This week I'm sharing another Advent Calendar with you. This one is an advent calendar in a box, which I've made to send to my Great Aunt, who lives on her own. I think she might need an extra bit of glittery cheer to see her through to Christmas, so we are going to pack these bags with chocolates, children's drawings and little notes, so she can open one each day. On days when the children are performing their nativity plays, singing carols or going to see Father Christmas there will be a little note in the bag that day to let her know what we are up to. 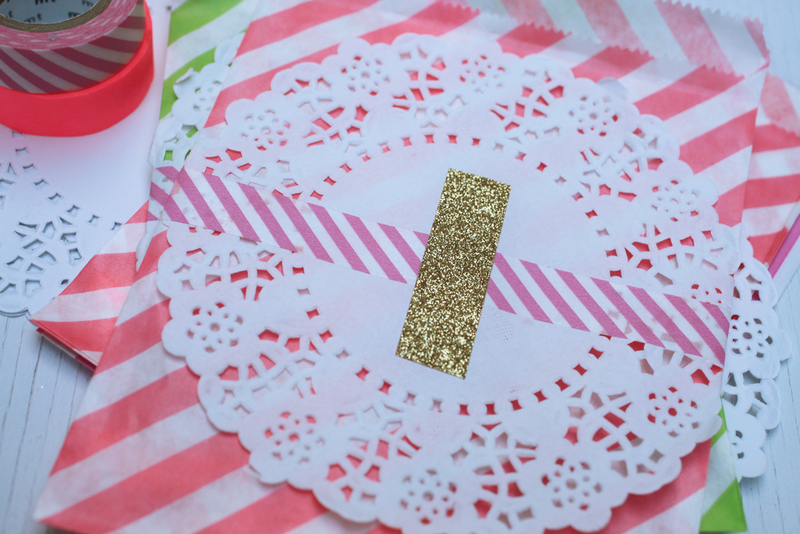 I have used glitter tape, washi tape, pens, pretty striped bags and doilies to make this simple but oh so sweet advent calendar. 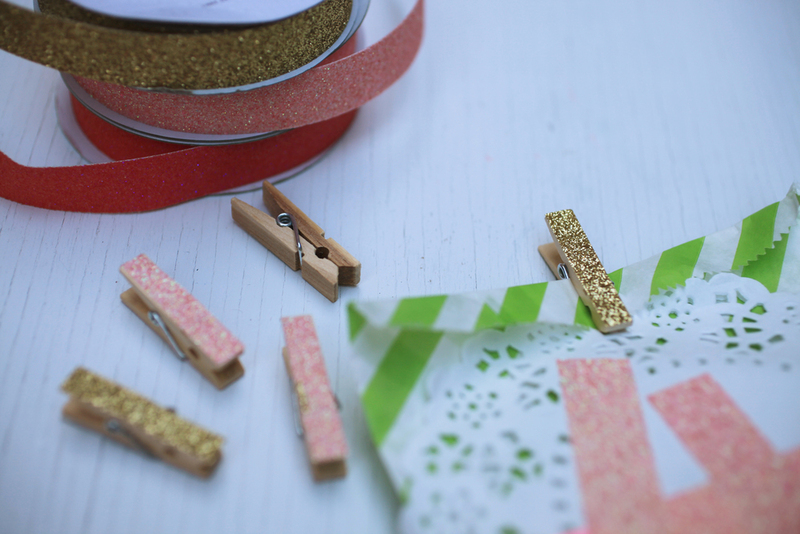 I thought it would be extra cute to cover some little pegs in glitter tape too. 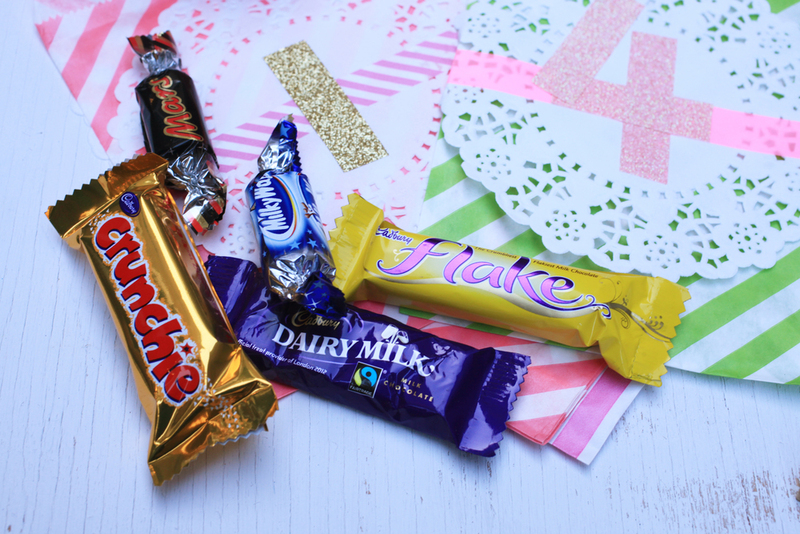 Fill the bags up with sweet treats, drawings, little gifts, pretty notes and then pop them all into a box. 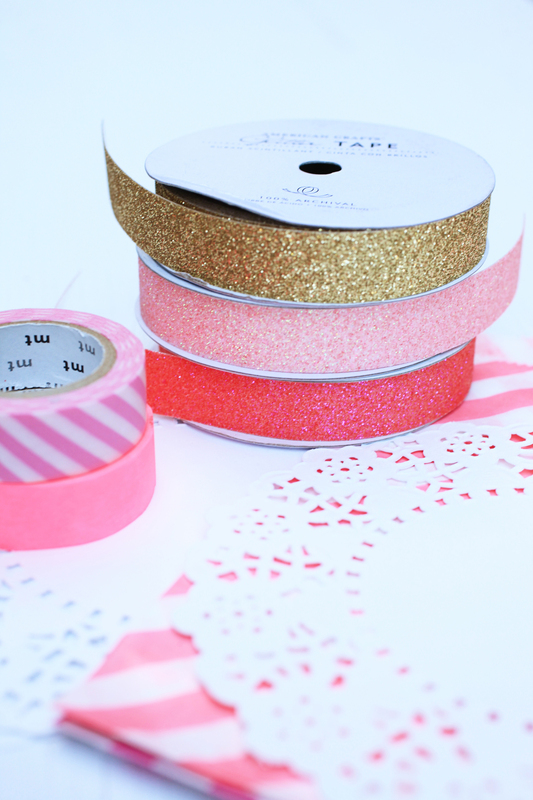 Add some extra glitter and decoration to make the box pretty too. And send it to a special someone for Advent. You could also make up the bags and pop them in a loved one's bag each morning for them to take to work or to pop on their plate each morning with breakfast.